Can You Take Cinnamon With a Blood Thinner? Skyler White is an avid writer and anthropologist who has written for numerous publications. As a writing professional since 2005, White's areas of interests include lifestyle, business, medicine, forensics, animals and green living. She has a Bachelor of Arts in anthropology from San Francisco State University and a Master of Science in forensic science from Pace University. Revered for its medicinal properties by the ancient Egyptians, cinnamon is a savory spice found in the bark of Cinnamomum trees. Although it is a widely used spice, you may need to moderate your consumption if you are taking a blood thinner. The coumarin in the spice could increase your risk of bleeding. Talk with your doctor or nutritionist if you are taking an anti-coagulant to determine how much, if any, cinnamon you should have. Blood thinners, often called anti-coagulants, decrease the blood's ability to clot. Clots can obstruct blood vessels, leading to heart attack and stroke. Typically, physicians prescribe blood thinners to those who have atrial fibrillation, congestive heart failure and phlebitis. Sometimes it's prescribed for those who are obese, according to the Texas Heart Institute. 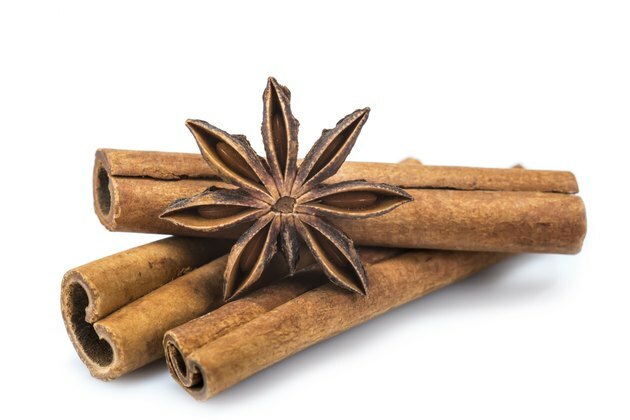 The coumarin in cinnamon is a natural anti-coagulant that makes consuming too much cinnamon risky if you're taking a blood-thinning medication. In fact, the most commonly used anti-coagulant drug, warfarin, is a coumarin derivative. Ceylon cinnamon has a lower coumarin content than cassia cinnamon, which has up to 63 times more, according to ScienceDaily.com. Nonetheless, it is next to impossible to differentiate between the two when you're shopping for cinnamon. Other spices similar to cinnamon may be risky to use if you're taking a blood thinner. Cloves, ginger and nutmeg, for example, are all anti-coagulants, as they inhibit the platelet activity responsible for blood clotting, according to the California Pacific Medical Center. Although using these spices in small amounts in cooking shouldn't pose a problem, you should avoid taking them as supplements, the Cleveland Clinic warns. Speak to your physician before using any of these spices. Whether you are on a blood thinner or not, you should avoid excessively consuming cinnamon. Too much coumarin can cause bleeding and damage your liver. Those with liver conditions should be especially careful not to eat too much of this spice. If you're taking a blood thinner, talk with your doctor or nutritionist. They may tell you that you can continue flavoring your dishes with it, or they may tell you to discontinue using it altogether. Does Eating Cinnamon Cause Heartburn? What Are the Benefits of Real Cinnamon vs. Fake Cinnamon?